RAF veteran Norman Shepherd, 88, from Nottingham, who visited Norway on a Heroes Return visit, is urging other veterans to apply for funding for a first or second trip. 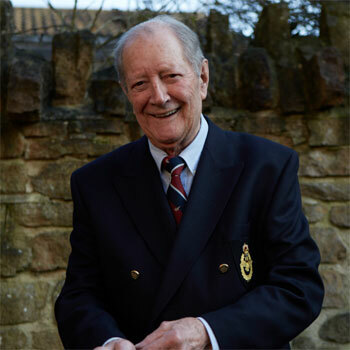 Norman joined the RAF in 1943 and after training joined 196 Squadron 38 Group. The Flight Sergeant was a flight engineer in Short Stirlings in operations over occupied Europe. The squadron carried out various transport, glider-towing and supply-dropping flights as well as Special Air Service parachuting missions over occupied territories. He said: “I flew something between 20 to 30 wartime operations. Most of them were dropping supplies or soldiers parachuting from our aircraft. My job as flight engineer was checking the engines and fuel. “One of the most memorable operations was when we had to tow gliders over the Rhine. We flew from Suffolk to Essex to pick up the gliders. Some were full of troops, others had jeeps and weapons. “There were hundreds of planes in the sky. A lot got hit by flack and we saw a few go down. We were also hit but we weren’t badly damaged. It was really terrifying when we got hit. We were flying so low towing the gliders that we wouldn’t have survived bailing out. “After the gliders detached themselves we headed back. The rope used to tow the gliders was extremely thick and heavy and we were trained to drop it on targets. On the way back we dropped it over an anti aircraft position and the rear gunner called out from the back saying we hit it. We all gave out a big cheer. “On another operation I remember we had to transport fuel for Spitfires and Hurricanes in jerry cans. We were like a flying bomb. One tracer bullet and we would have exploded. That was a bit hairy. One cargo Norman wasn’t expecting was at the end of the war. His crew were delivered a dozen Jewish children who had been freed from a concentration camp and were to be flown to England. He said: “They were aged between eight and 12 and I was put in charge of them. I gave them a chocolate bar each and they gobbled them all down. But they weren’t used to it and it made them sick in the aircraft. Norman visited Oslo, Norway, last year for his Heroes Return 2 visit. 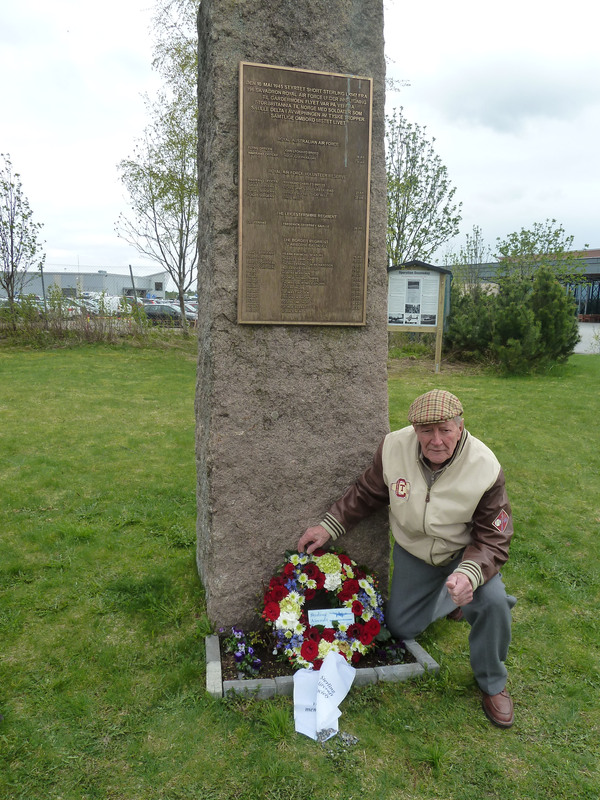 He had been invited to take part in a ceremony to commemorate crewmen lost during Operation Doomsday – the supervision of the surrender of German forces in occupied Norway following the Allied victory in Europe on May 8 1945. More than 360,000 German troops still occupied Norway and the Allies launched a massive operation to take 30,000 soldiers to Norway. On May 10 1945 three Short Stirlings crashed enroute to Gardermoen Airfield. Norman joined relatives of the lost men at Gardermoen and also visited the crash site and cemetery where the men now rest. He remembered: “We took off but the weather became dreadful about two-thirds of the way. We were recalled but three aircraft carried on. All three crashed, including one carrying the Commander of 38 Group Air Vice-Marshall James Scarlet –Streatfield.